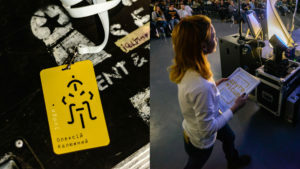 Having selected We_Challenge’s TA segments, we determined the common values that the company creates for its audience and wrote positioning which already existed in the spirit of all company events, but it needed to be described in simple words. 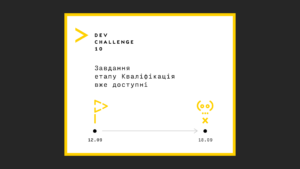 We_Challenge creates a collaboration.We_Challenge forms a culture of communication in the Ukrainian IT sphere, exchange of ideas and opinions, as well as a sharing pastime culture. Culture is the keyword here, as soon as culture is able to transform habitual processes, accelerate their development and impart them with new values. 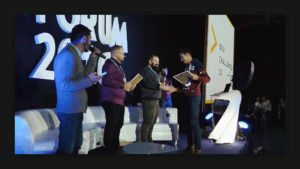 Let's get out of the offices, let's talk, have a good time, share knowledge and create new projects together, let's take the Ukrainian IT market to a new European level. We kept good things from the old logo and developed a minimalistic modern identity. 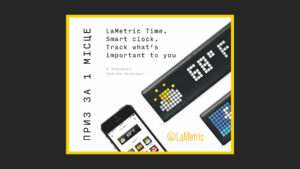 Project logos have a clear continuity to the parent brand. A special grid for logos was developed, rules were described, and even a font was developed, which makes it possible in minutes to develop an identity for new projects. At its core, the program code is a symbol. Realizing this, there was an idea to build a corporate identity based on the symbols. A group of symbols can form more complex characters starting with a simple smiley and ending with full-fledged recognizable characters. So for each Company’s projec can have its own character that symbolizes this direction. 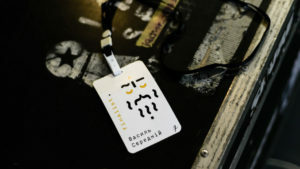 A group of symbols can form more complex characters starting with a simple smiley and ending with full-fledged recognizable characters.So for each Company’s project can have its own character that symbolizes this direction. 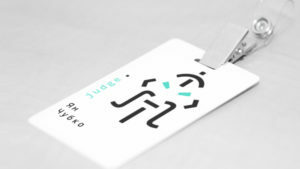 Based on this concept we created characters that symbolize the Company's main projects. 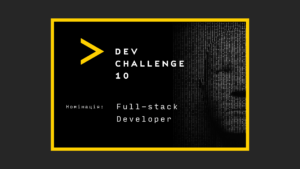 Developer symbolizes developers and the DEV_Challenge project, as developer’s in charge here. Characters looked great in the branded products design, as well as in the digital environment. 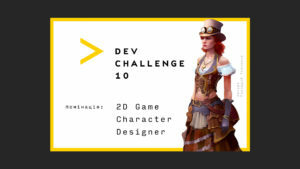 However, we did not stop and came up with characters for each type of participants: developer, judge, QA, designer and even a separate character for our beautiful girls. Sensey symbolizes mentors and judges, and with them the IT_Forum project as mentors and judges are essential in this project. 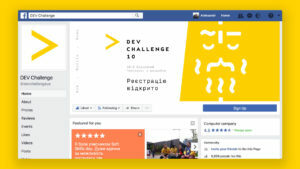 The new corporate identity was used at the final Dev_Challenge, which for the first time was combined with IT_Forum. The new style has collected a lot of positive feedback from visitors. 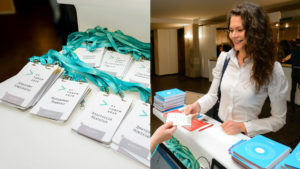 The event used brand name badges so it was possible immediately to visually identify who the person was, so it was easier to find people with whom you could communicate, share your thoughts, and ask for advice. 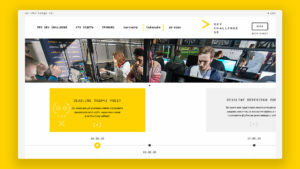 We had an idea to develop a website-designer that would allow creating websites for new projects in relatively short time and collect pages from pre-prepared widgets. 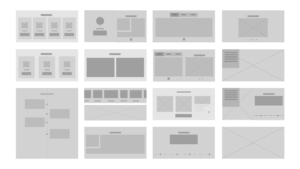 In the future, you can create new and new widgets, thereby expanding the functionality and capabilities of the platform. 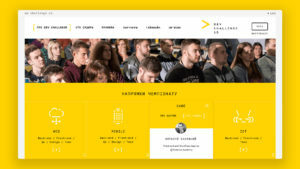 IT_Forum website was also developed based on this design. At the same time, it was important to take into account the tight deadlines before the launch. 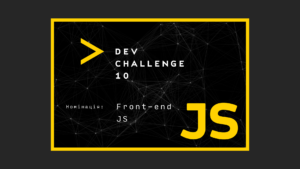 Therefore, we decided at the first stage to develop only the most necessary widgets, on the basis of which the Dev_Challenge website was developed. 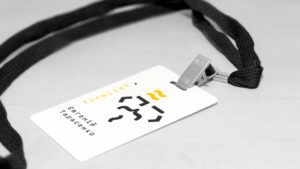 An important functionality was the participants’ registration, a personal account, uploading works logic. 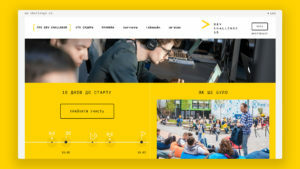 Often events need to show a schedule or key dates, so we developed a timeline widget that can be used on any of the We_Challenge projects and is suitable for both one-day and long-term events.